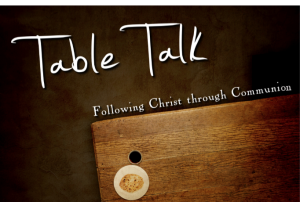 Creating a new and unique Table Talk requires a little bit of imagination and creativity. The goal is not to be novel but rather to be thoughtful. This page will take you to resources that should get the gray matter stimulated. Look for ways to draw your listeners into the beauty and depth of the Lord’s Supper. Click on the links below for access to a variety of resources.